Detail of a cyanotype ca. 1910 by Bertha Jacques (1863-1941), on exhibit at NYPL. Photographed through glass, so a poor reproduction of the blue. The dragonfly must have been perched for a while on grass with little breeze to get such a clear view. I hadn’t realized that cameras in 1910 could take that quick a photo. I still struggle to get a non-blurry picture if the dragonfly isn’t on a nice solid twig. 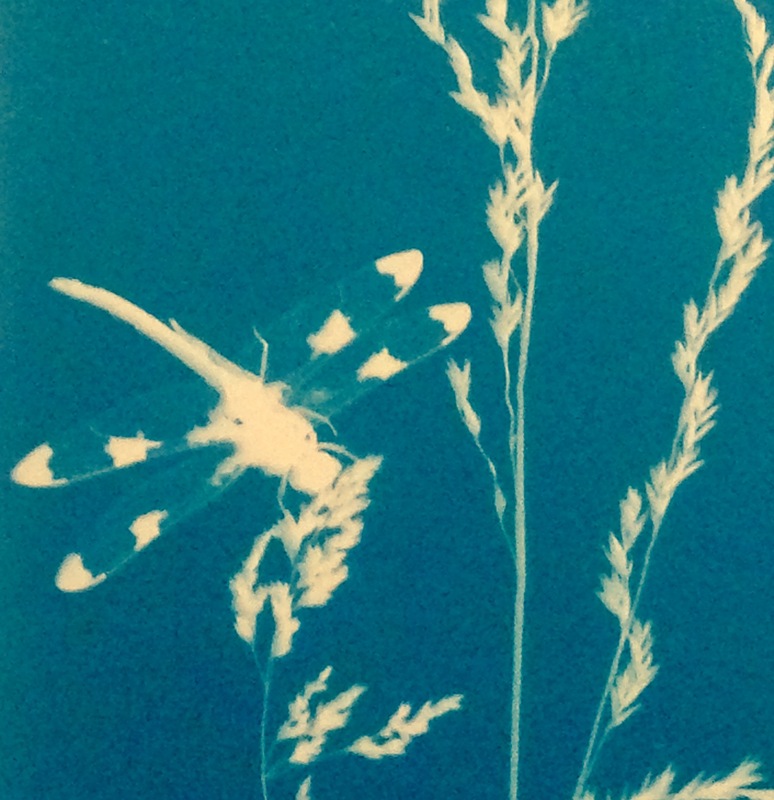 These cyanotypes were made in frames, with glass covers, so the dragonfly was probably dead. Beautiful. I want to go and see this exhibition. I will check this out. Thanks.